In 1700 divertimento, cassation and the serenade in general were considered as light compositions, commonly played – even outdoor – in order to discretely cheer and accompany banquets and celebrations – thus partaking the proper revelry atmosphere; more likely they were expected, and actually most of time they were, some sort of easy listening pieces of music addressed to a rather inattentive, and not necessarily learned, audience. Nonetheless Wolfgang Amadeus Mozart’s miraculous touch again transformed a simple Serenade into a masterpiece. The Serenade n.10 in B flat major, K 361, far and wide renowned as “Gran Partita”, was composed very likely around 1781, when the genius was in Vienna. Written for 12 wind instruments (four horns, two oboes, two bassoons, two clarinets, two basset-horns) and a contrabasso, is a true masterwork and its concoction of movements and its melodies are undoubtedly unique in its genre. In so far as it has been reported, the Serenata was represented for the first time in 1784. The chance was given by a charity concert at the Burgtheater organised by the then celebrated clarinettist Anton Stadler: small wonder that the choice fell on this opus, where some stupendous clarinet parts outstand within the entire composition. It is worth to observe, to this respect, that the actual whole work would last something less than one hour. Yet this is of no surprise, but perfectly in line with the entertaining function assigned to those kind of pieces, which were meant to be listened without particular attention and dedication – just as party’s amusing embellishment . A genuine sense of gayety and a pervasive rhythmic pleasure pervade the entire Serenata, the effect of course is partly originated by the wind instruments usually symptom of festivity and playfulness and additionally by the presence of minuets, namely two. They both include, according to the traditional Serenade framework two trios, each of them repeated four times, thus coupling the noble tones of the music and enhancing the distinctive joyfulness of Viennese dance. The first minuet has a trio carried by an innovative dialogue between two basset-horns and two clarinets; the second trio displays a solitary, dramatic, sorrowful oboe. 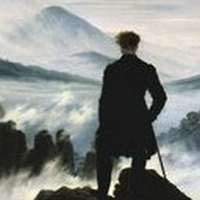 The second minuet par contre is characterised by a tonic minor, therefore the pompousness of the winds suddenly quiets down arising into the listener a sort of uneasiness and feeling of anxious expectation – in Mozart minuets will soon lose their innate purpose of pure relaxed delight and rejoicing. However unquestionably is the adagio unparalleled celestial tones within a soothing touching music that remains sine dubio unsurpassed. The entire pathos is attributed to, and sustained by, an oboe and a clarinet; these two stupendous instruments brilliantly and alternatively share the mission to outstand with their heavenly melody. Expression, colours, joy and sorrow are summoned and exalted in a melange of suavity and gravity. Ultimately Mozart not simply dissected the archetypal structure of the Serenata, he also rearranged its paradigm, its internal balance and functions; furthermore he, as a true forerunner, could clearly see the great light behind the doors of the Romanticism: the music that touches the heart, the beauty that is conveyed directly to the emotions, the power of the senses and the caducity of the descriptions, words and sentences: aesthetic experience exclusively through pure feeling and beyond any verbal communication. Listen to the adagio played by the Nederlandse Blazers one of my favourite ensembles, which I had the fortune to listen live. what a wonderful idea – a blog with both music and interesting texts to read! And lovely layout. Perfect – this will be another favorite corner of the web. So nice to read to the sound of the most angelical music there is. "As a star, without haste yet without rest, let everyone fulfil his own hest"